Brickstuff Warranty Information - Brickstuff-- Small Lights for Big Ideas! to request an RMA number-- only products with a valid RMA number will be accepted for return. boards, no adhesive residue can be on the back of the board). Except in the instance of a defective product, the customer is responsible for all return shipping costs. Items returned that are in a condition that prevents them from being resold will not receive a refund. Upon receipt of the product, Brickstuff will make the determination of the product's ability to be resold. Products that are able to be resold will have their full purchase price refunded to the Customer. If the product sent to the Customer is damaged, defective or materially different than the product ordered, the customer can return the item within 30 days of receipt. Brickstuff will refund the cost of return postage (if applicable-- some smaller parts may be replaced without needing to be returned to Brickstuff) and send the proper item as quickly as possible at no additional cost to the Customer. The Customer must still use the RMA process listed above, and return the product using the recommended method for postage. The Customer agrees that the purchase of products from Brickstuff is made at the Customer’s own risk. 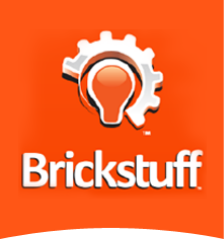 Brickstuff products are made available for purchase “as is” without warranty of any kind beyond the return of products found in this Warranty policy. Brickstuff may not be accountable for any damage, liability, direct, indirect, or consequential, (including physical injury or property damage) that may arise from the purchase or use of any products. Brickstuff and the Lighting Gear Logo are trademarks of Enthusiast Enterprises, LLC. LEGO® is a trademark of the LEGO Group of companies which does not sponsor, authorize or endorse any Brickstuff product or service. The LEGO Group is not liable for any loss, injury, or damage arising from the use or misuse of any Brickstuff product or service.